Movie Treasures By Brenda: Planet Earth or DisneyNature's Earth? Which One Should You Buy? Planet Earth or DisneyNature's Earth? Which One Should You Buy? 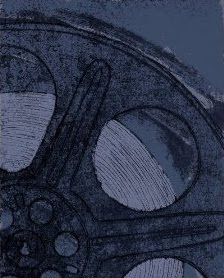 If you're unsure which of these documentaries is the one for you, there are a couple of things to consider. First, if you are a keen nature documentary viewer, than hands down BBC's Planet Earth series is for you and will provide hours of viewing. If you want to see some of the majesty of Planet Earth but don't want to invest the time to watch an entire series, than I believe DisneyNature's Earth is what you should choose. If you are a big fan of Planet Earth and have seen all the episodes, then you really don't need to see the Disney film. If you've seen the Disney film but not Planet Earth, it is definitely worth considering. I've been following the controversy about Disney using the BBC's footage from Planet Earth, reading comments from understandably disappointed people who paid $50 for their family to see Disney's Earth and then discovered that they've seen more than half of the footage before on Planet Earth. I've seen bits of Planet Earth. I've seen all of Disney's Earth. Both were beautiful and I think it boils down to personal choice. Simply put, I think Planet Earth is a better or more complete nature documentary. However, that is not to say that there is anything wrong with Disney's Earth, I enjoyed it and it was beautiful, however it is simply a shorter version of Planet Earth. Disney's Earth Movie And Planet Earth ~~ Are They The Same Documentaries? 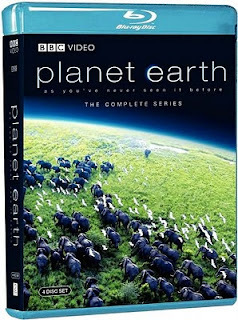 Buy BBC's Planet Earth series from Amazon. Buy DisneyNature's Earth from Amazon. My mom bought this for us last year at Christmastime...absolutely one of the most riveting, gotta pause for snacks movies we have seen in a long time. Along with my comment I wanted to stop by today to wish you and your family a joy-filled holiday and my best for you in the New Year...2011 is gonna rock! Thanks Correen, for your comment. Sorry I never made it back here in time to wish you a Merry Christmas, too!